Looking for a Chantilly, VA mover? Well, your search is over. We are the ones to help make your move smooth and easy. Craig Van Lines serves the entire area, including South Riding, Centreville, Clifton, Fair Lakes, and extending throughout the whole Metro area. Whether you’re moving down the street or across the nation, our movers are here to provide you with the best service possible. Our moving and storage experts rate above other moving companies in northern Virginia, so you can rest assured that you will be the recipient of unparalleled service and as pleasant a moving experience as can be hoped. We will be efficient, careful, and affordable, so call us today to schedule your move or to arrange a visit by one our moving counselors. Our licensed, Bonded & Insured Chantilly moving techs provide quick and efficient local moving and packing services for you, your family, and/or business on an hourly basis, serving the Chantilly, Fairfax County, VA metro region. Keep in mind that our expert local moving and packing services also include a charge for our pro movers travel time. Rates may vary based on the date and time of your planned move, so give us a call for current rates and specials. And to potentially save money, you might consider moving mid-week and mid-month when our demand is not as high. As the day for your relocation approaches, stress and foreboding is often a part of such a life-changing experience. Know that we not only can help through our normal moving service, but that we also provide anything else you might need from wardrobe boxes to custom-built crates. Wardrobe boxes, which have built-in metal rods for the hanging of your garments, are available. They provide you with ease of access, safe transport and protection for your clothing. Each of these “portable closets” is available for rent for a modest charge per day. We also offer a wide variety of other packing supplies such as small, medium, and large boxes and custom made crates for things like flat screen televisions, delicate furniture, clocks, lighting fixtures, and so much more. We are the best local Chantilly movers and our goods and services cannot be beat in Virginia! Check references before you decide on a moving company. We’ve been an accredited member of the Better Business Bureau since 1984, and we’re proud of our A+ rating (click here). Could not be more pleased with the quality of the service we received. 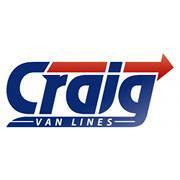 Pricing came in as the best of 5 quotes - glad we went with Craig - a great value! They were very responsive and attentive. Simply fill out the form below and we will contact you promptly.